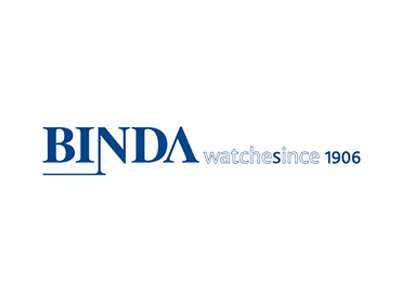 Watches, jewelry, and fashionable accessories: for more than a century, Italy’s Binda Group brands have epitomized quality and style. To promote its trend-setting labels, such as Breil and Hip Hop, the company required a powerful e-commerce platform. After a detailed evaluation of several vendors offering transaction-based licensing models, the Binda Group opted for Intershop—a highly flexible and scalable solution that allows centralized management of multiple brands and stores. From start to go-live, the first shop project took just three months to complete. Intershop and partner SMC Consulting completed the first web store for Binda in just three months. With 10,000 stores worldwide, the Binda Group also has a strong offline presence. Since the company was founded in 1906, Binda has constantly set new trends. Increase brand recognition by creating a unique, memorable, and personalized customer experience, e.g., with large-format video backgrounds. Use a transaction-based licensing model to keep initial investment low and minimize financial risk. Enable centralized management of multiple brands and websites. Intershop Commerce Management 7: a flexible and scalable e-commerce solution with transaction-based licensing options. Speaking the customer’s language: Intershop’s e-commerce platform enables effortless management of multiple branded stores in the respective local language and currency with all appropriate payment and shipping options. Responsive design: all shop content seamlessly adapts for optimum display on mobile devices, such as smartphones and tablets. Intershop solution requires minimal configuration and integrates easily with existing IT systems. Fast and easy roll-out of additional stores, also internationally. Special integrated features for shop users, e.g., optional extended product warranty, gift wrapping, and personalized gift message. Our new e-commerce platform is an exciting way to reach our customers, understand their needs and wishes, and provide them with the right and innovative products. Plus, it allows us to reach a wider market globally. With no previous experience in running an e-commerce business at Binda, we have really benefited from Intershop’s and SMC’s technical knowledge and skills. We now look forward to extending our platform to our other brands and markets.